Transat has announced details of its winter service, which includes the addition of more connections for flights to European destinations. This will provide a wider range of options for those booking short-term rentals in cities such as Paris, London, Malaga, and Lisbon. Starting this November, the airline will operate a service five times a week from Toronto to Paris, as well as between Montreal and three destinations in the UK: London, Glasgow, and Manchester. The addition of a new route between Montreal and Toronto will enable more passengers to connect with these European flights from across Canada. For passengers who are looking to get some European sunshine this winter, Transat will also run connecting services to four destinations in the south of the continent. This includes Montreal to Malaga and Toronto to Faro from January 2016. 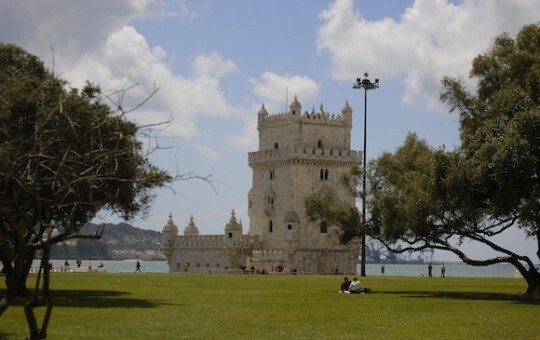 In addition, they will also fly between Toronto and Lisbon or Porto from November 2015. To enhance their links between Canada and London, the airline will feature a new service from Calgary to Vancouver this winter. The flight starts in December and enables passengers to connect with the flight that leaves Vancouver for London on Mondays. The additional domestic services will not just benefit those travelling across the Atlantic. Passengers who are flying between Canadian cities will also be able to take advantage of the new links between Calgary and Vancouver and Montreal and Toronto, with services operating throughout peak hours. Make sure to visit the amazing shopping malls, downtown city center arcades, and fashion outlets when you vacation in this modern English city. You will be amazed at the vibrant and lively shopping centers it has to offer. Take a trip downtown to stroll through the Arndale Centre, where you will discover all the fashion and designer outlets necessary for some serious retail therapy. Manchester’s Arndale is one of the largest retail malls in the UK, having more than two hundred retailers in this modern shoppers’ paradise. Arndale is also home to a host of restaurants and cafés providing a choice of many different cuisines so you can opt for your favorite foods. A tour of the Northern Quarter, which is home to modern designers and independent fashion outlets, offers a glimpse of the thriving arts scene in the UK. The Manchester Craft and Design Centre is located in the old fish and poultry market building, and is home to a range of artists and craftspeople who work from their own small studios. The INTU Trafford Centre is located approximately five miles outside of Manchester’s city center, and is full of surprises. All four major department stores are located in Trafford Centre, so if you want to browse the wares of Selfridges, John Lewis, M&S, and Debenhams in one day, then this is the ideal retail venue for you. There are a host of designer outlets, as well. You will find Jimmy Choo, Michael Kors, Mulberry, Lanvin, and more located at the INTU Trafford Centre, alongside decorative features that are sure to impress any visitor. You can book holiday accommodations in a number of Manchester neighborhoods. Vacation rentals can be found at all different price points, ranging from cheap sleeps to luxury rentals. Two airlines have recently announced plans to boost their capacity and introduce new routes this winter, linking cities in Europe and North America with Scandinavian regions. SAS is meeting customer demands by increasing the number of flights on some of its most popular routes as well as adding in new destinations. The increase in seats covers business and pleasure services, with daily flights in operation from both Stockholm and Copenhagen to Manchester. This winter, the carrier will continue with a number of its summer routes, including a daily flight from Copenhagen to San Francisco. Customers will also see larger aircraft used on routes between London Heathrow and Stockholm, Oslo, and Copenhagen to help increase capacity. The changes the airline is making to the winter schedule will result in more than 500,000 additional seats compared to last year. Flights into major hubs, such as London Heathrow, will provide ongoing connections for those travelling further afield. In addition to the changes by SAS, Ryanair has confirmed that their service from London Luton to Copenhagen will be boosted to four services a day this winter. The airline currently operates three services daily, but an increase in demand has led to the inclusion of an additional flight. These extra flights will enable more people to see the cultural and historical sights across the region. There are plenty of apartment rentals to be found in the key cities, including Copenhagen and Oslo, offering a great base for those who want to explore.